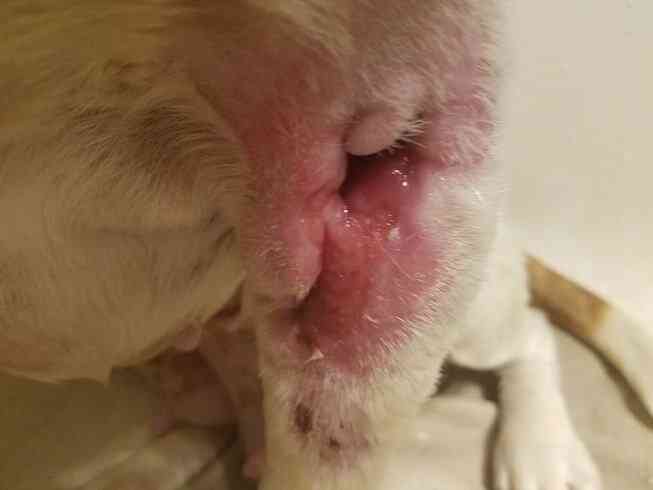 Urgent help needed for Lani Lou! Lani Lou needs your help!! 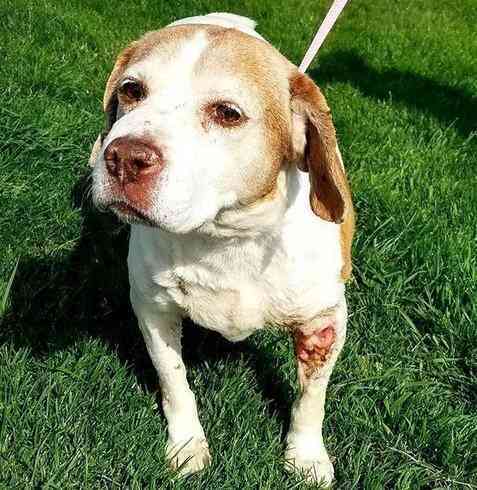 She is a senior beagle that was attacked by another dog and left for dead. 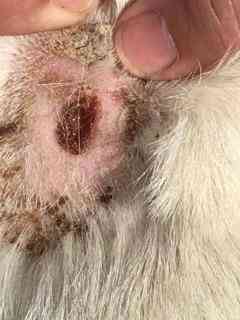 She has gaping wounds and bites all over her body. She also needs mammary cancer surgery once she is better. This poor dog is so sweet and didn't deserve all this pain and suffering. Please consider a donation for her care and also please share her Giving Grid all over Facebook. Please pick your very own square with a paw heart to donate! Please pick your very own square with a paw heart below to donate! 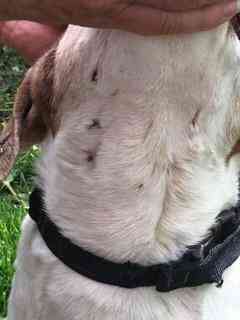 Lani Lou-- formerly Angel has been the victim of vicious dog fights for years. 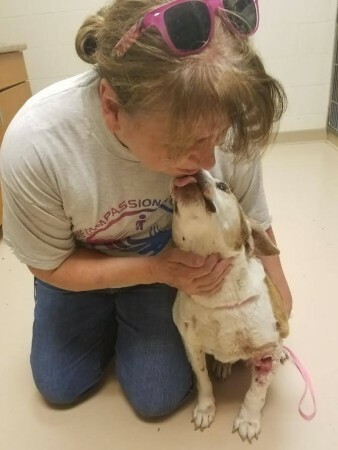 The last time she was attacked by the resident dog, the owners left her in the yard with terrible wounds and eventually a neighbor took her and she was surrendered to Joliet Animal Control. 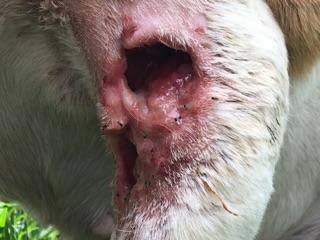 Maureen, a wonderful new IBR volunteer who specializes in hard luck hound cases, agreed to take her in to foster care and has started wound care. 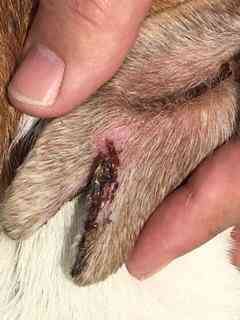 Besides the gaping hold in her front left leg, she also has bite wounds all over her body. 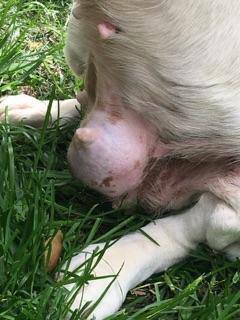 If that isn't bad enough, Lani Lou also has what looks to be mammary cancer. As she is in no shape for surgery for that just yet, we are doing blood work to determine her health and Dr. John will also being doing an exam and hopefully might be able to give suggestions for her wound care and also for her terrible ear infection and scaring. We hope to do her presurgical chest X-rays in a couple of weeks to see if the cancer has spread. 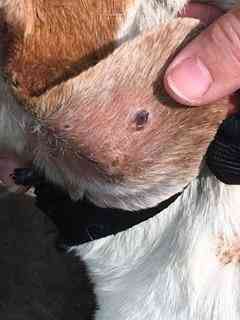 We would really appreciate any help for her care as this will be an very expensive rescue. I’m helping "Illinois Birddog Rescue" help this sweetheart get better. Please help too by donating or sharing with others. Thanks! 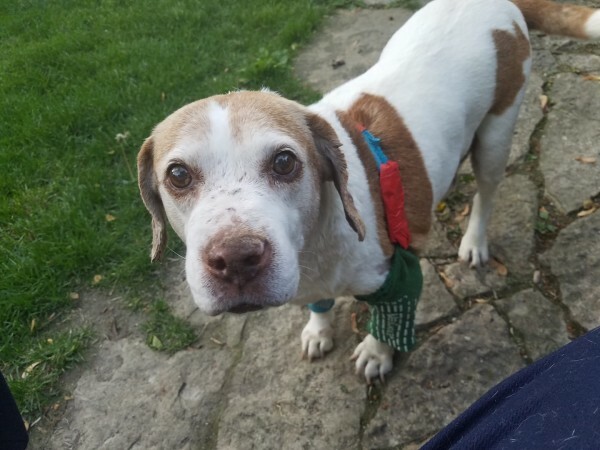 I just made a donation to "Illinois Birddog Rescue" to help this sweetheart get better. Please help too by donating or sharing with others. Thanks! Your generous donation goes directly to the PayPal account of Illinois Birddog Rescue, less PayPal processing fees. GivingGrid.com does not take a fee from Illinois Birddog Rescue. It's free to them.You do not need a PayPal account to donate. Please help a little more to support GivingGrid's operating expenses and keep the service free to Illinois Birddog Rescue. Why? Unlike most other services, we don't charge Illinois Birddog Rescue any fees. It's free to them.